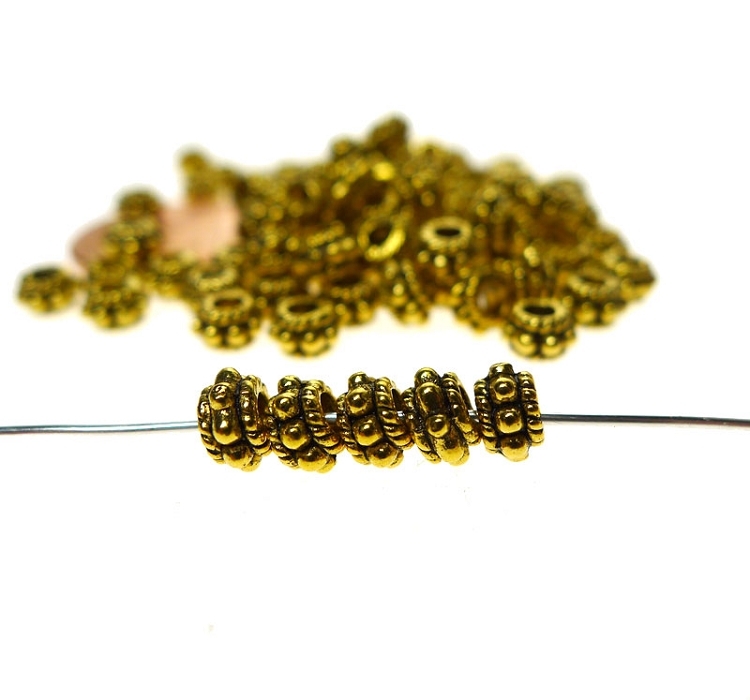 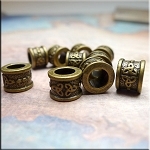 Antiqued Gold Pewter Spacer Beads with Raised Dotted Edge and twisted Accent Rim for all of your jewelry making projects -- especially useful as accent spacer beads in bracelet, earrings or necklace-making. 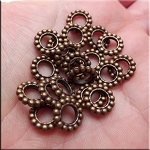 Overall Size is approx 3mm tall x 5mm across/diameter; Hole is approx 2mm in diameter. 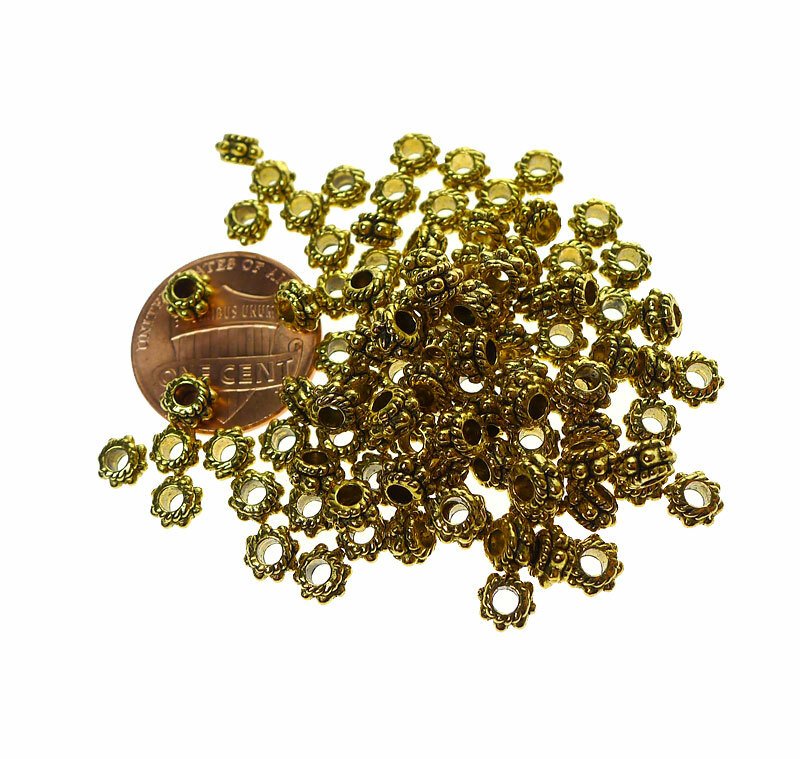 Lead-free and Nickel-free Zinc Alloy Pewter with Antiqued Gold Finish. 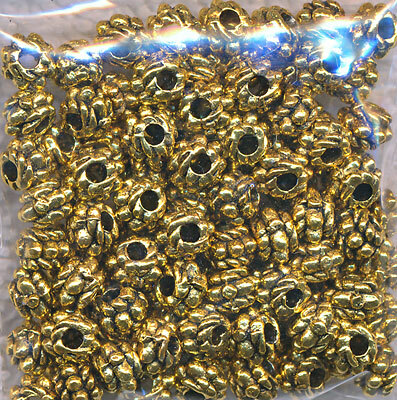 Sold by Bulk Package of 100 spacer beads.